The Panasonic Lumix G1 was the first digital mirrorless interchangeable lens camera. It was released in 2008. Prior to the release of the Panasonic G1, all digital interchangeable lens cameras were DSLRs. Panasonic was the first company that dared to release a mirrorless ILC and so the G1 became the forefather of all modern mirrorless cameras. Therefore, the Panasonic Lumix G1 made history. But is it still a usable camera today? Die FERN.licht Messe fand am 25. und 26. November 2017 im Kongresszentrum am Leipziger Zoo statt. Eine Messe, die Fotografie und Reisen verbindet, wollte ich mir nicht entgehen lassen. Again and again people ask me how exactly I test the sharpness of lenses. This is why in this post I am going to explain my test method. For all tests, the camera is mounted on a tripod, I use release the shutter via wifi and if possible I use the electronic shutter. This ensures that the result is not influenced by vibrations. I always use the camera with the highest resolution available to me and if possible a high-res mode. In case of shallow depth of field, I take several pictures and refocus for every shot to make sure there are no focus errors. The samples I use for my reviews are always 100% crops at base ISO. I always refocus on the image borders to test their sharpness. If I suspect a significant field curvature, I test it separately. I have been asked if the post cards I use as my test subject are sharp enough. If they are the limiting factor you are going to see the pressure grid. 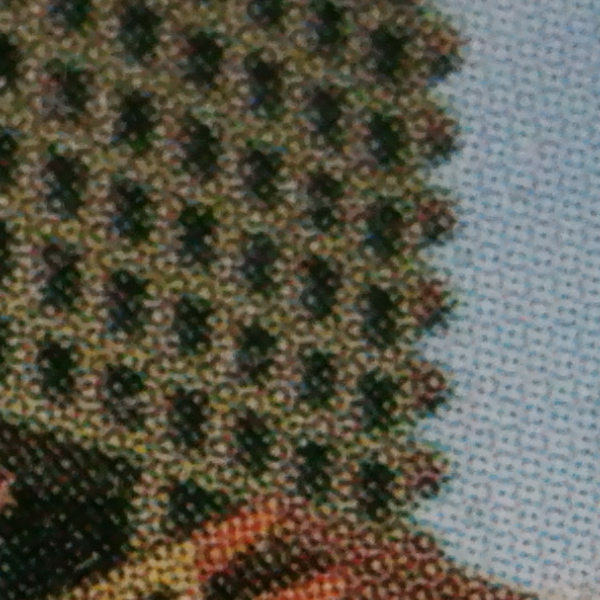 Example of the lens outresolving the post card, the pressure grid is visible. If you do not see the pressure grid, the post cards were sufficient as the test subject. 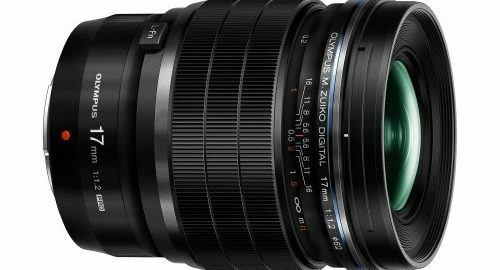 If you still have doubts, take a look at my comparion between the Olympus M.Zuiko 25mm F1.2 Pro and the Olympus M.Zuiko 12-40mm F2.8 Pro. Although this are expensive lenses and part of Olympus Pro line, the difference between the maximum aperture and F/5.6 is clearly visible. Even if a different subject would show a difference at F/5.6, honestly, there is a point where a lens is just sharp enough. I am interested in real photography and I do not think that there is a picture that would suffer from the amount of sharpness that those two lenses display in my test. If you have any more questions about how I test the sharpness of lenses just leave a comment! Da es immer wieder Fragen und Einwände zu meinen Schärfetests gibt, möchte ich hier einmal detailliert meine Testmethode zum Ermitteln der Schärfe von Objektiven darlegen. Alles Testfotos werden mit einem stabilen Stativ, Fernauslösung und wenn möglich mit elektronischem Verschluss durchgeführt. Hiermit sollen Verfälschungen durch Vibrationen ausgeschlossen werden. Ich verwende immer den hochauflösensten Sensor, welcher mir zur Verfügung steht und ggf. einen High-Res Modus. Bei geringer Schärfentiefe mache ich immer mehrere Bilder und fokussiere für jedes neu, um Fokusfehler auszuschließen. Zudem stelle ich immer 100% Ausschnitte aus den Bilder bei Basis ISO ein, damit die Schärfe optimal auf Pixelebene beurteilt werden. Sofern nicht anders angegeben fokussiere ich für den Test der Randschärfe immer neu auf die Ränder, um auch hier Fokusfehler zu vermeiden. Eine Bildfeldwölbung teste ich ggf. gesondert. DxO hat den Nachfolger von DxO Optics Pro veröffentlicht, DxO PhotoLab, und gleichzeitig die Nik Collection von Google erworben. Zwei meiner liebsten Fotobearbeitungsprogramme wachsen damit zusammen. Bis jetzt sah mein Workflow für die meisten Fotos folgendermaßen aus: Ich habe die Bilder zuerst in DxO Optics Pro entwickelt, dann von dort an Lightroom übergeben, um ggf. lokale Korrekturen durchzuführen, da DxO Optics Pro diese nicht beherrscht. Dann habe ich die Bilder nach Geschmack mit ColorFX aus der Nik Collection final bearbeitet und zuletzt mit dem Output Sharpener geschärft.